The Cadman and Melchett Awards are among the most prestigious awards given by the Energy Institute and are awarded to individuals who have made a significant contribution to the energy industry. Presentation of the Cadman and Melchett Awards is followed by a lecture delivered by the Award recipient. 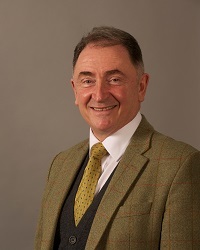 Professor Sir Jim McDonald joined the University of Strathclyde in 1984 following seven years in the electric utility industry and was appointed to the Rolls-Royce Chair in Electrical Power Systems in 1993. He became Principal and Vice Chancellor of the University of Strathclyde in March 2009. He Co-chairs, with the First Minister of Scotland, the Scottish Government’s Energy Advisory Board. He is Chairman of the Independent Glasgow Economic Leadership Board. He currently holds several senior business appointments with organisations including the Weir Group, Scottish Power, the UK Offshore Renewable Energy Catapult and the UK National Physical Laboratory. He chairs two of the pan-Scotland research pools in Energy and Engineering, is Chair of the Royal Academy of Engineering Research Committee and is President of the Association of European Universities of Science and Technology (CESAER). He is author of over 650 papers, 3 books and has served as honorary editor of IEE journals. He had held Visiting Scientist posts at MIT and is currently a Presidential Fellow at the Tandon School of Engineering at NYU. He has been nominated by the Trustee Board of the Royal Academy as its next Presidential candidate for election by Fellows at the September 2019 AGM. He is a Fellow of the Royal Academy, the Royal Society of Edinburgh, the Institution of Engineering and Technology, the Institute of Physics and the Energy Institute. The Cadman Memorial Fund commemorates the late Lord Cadman of Silverdale, Chairman of the Anglo-Iranian Oil Company (now BP) and Past President of the Institute of Petroleum. The first Cadman Award was given on 27 March 1946 and since its initiation, the fund has provided for the endowment of a memorial award and lecture on an aspect of the science of petroleum. The Cadman Award is one of the most prestigious awards given by the Energy Institute and is presented to an individual for their outstanding and significant service to the oil industry on an international basis. Sir John Cadman was President of the Institute of Petroleum from 1935-36. He later became Rt. Hon Lord Cadman of Silverdale. Born in the Villas in High Street Silverdale on 7th September 1877, John Cadman later lived at Silverdale House. He was educated at Newcastle High School and gained an MSc at Durham University. As Assistant Manager at Silverdale Colliery and as H.M. Inspector of Mines he worked to reduce loss of life, gaining the North Staffordshire Brigade rescue medal with five clasps. He served as Government Mining Engineer in Trinidad and as Professor of Mining at Birmingham University. His foresight regarding the Persian oilfields helped to guarantee the supply of oil during the 1st World War. He later became Chairman of the Anglo-Persian Oil Company, now BP. He was knighted in 1918 and raised to the peerage in 1937. Through his leading contribution in the fields of oil television and international aviation, Cadman played a vital role in three of the most significant developments of the 20th Century. He died in Bletchley in 1941. His ashes are interred at St Luke's Church, Silverdale. The EI Melchett Award is named after one of the first EI Presidents, The Rt Hon Sir Alfred Mond, later to become Lord Melchett and Chairman of ICI. It was instituted in 1930. The Melchett Award is presented biannually to an individual for their outstanding contribution to the study or advancement of the science of fuel and energy, including original research or professional, administrative, or constructive work of an outstanding character involving the scientific preparation or use of fuel, provided the results of such work have been made available within recent date for the benefit of the community. Early life and educationAlfred Mond was born in Farnworth, Widnes, Lancashire, the younger son of Ludwig Mond, a chemist and industrialist of Jewish extraction who had emigrated from Germany, and his wife Frieda née Löwenthal. He was educated at Cheltenham College and St. John's College, Cambridge but failed his natural sciences tripos. He then studied law at Edinburgh University and was called to the bar by the Inner Temple in 1894. Following this he joined his father's business, Brunner Mond & Company as director, later becoming its managing director. He was also managing director of his father's other company the Mond Nickel Company. Other directorships included those of the International Nickel Corporation of Canada, the Westminster Bank and the Industrial Finance Investment Corporation. His major business achievement was in 1926 working to create the merger of four separate companies to form Imperial Chemical Industries (ICI) one of the world's largest industrial corporations at the time. He became its first chairman. Mond was also involved in politics and sat as Liberal Member of Parliament for Chester from 1906 to 1910, for Swansea from 1910 to 1918 and for Swansea West from 1918 to 1923. He served in the coalition government of David Lloyd George as First Commissioner of Works from 1916 to 1921 and as Minister of Health (with a seat in the cabinet) from 1921 to 1922. He later switched party and represented Carmarthen from 1924 to 1928, initially as a Liberal. However, in 1926 Mond became a Conservative, after falling out with Lloyd George over the former Prime Minister's controversial plans to nationalise agricultural land. Mond was created a baronet, of Hartford Hill in Great Budworth in the County of Chester, in 1910, and was admitted to the Privy Council in 1913. In 1928 he was raised to the peerage as Baron Melchett of Landford in the County of Southampton. His father had bequeathed a collection of old master paintings to the National Gallery and Alfred provided housing for them in 1924. In 1929 he provided land in Chelsea for the Chelsea Health Society. He first visited Palestine in 1921 with Chaim Weizmann and subsequently became an enthusiastic Zionist, contributing money to the Jewish Colonization Corporation for Palestine and writing for Zionist publications. He became President of the British Zionist Foundation and made financial contributions to Zionist causes. He was the first President of the Technion in 1925. Melchett founded the town of Tel Mond, now in Israel. He was elected a Fellow of the Royal Society in 1928 and received a number of honorary degrees from Oxford, Paris, and other universities. Personal lifeIn 1894 Mond married Violet Goetze and they had one son, Henry Ludwig, and three daughters. Mond died in his London home in 1930, and his son succeeded to the barony.